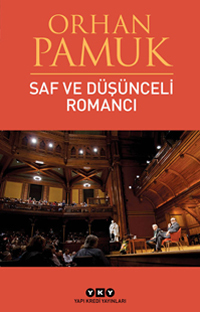 Pamuk, in his Norton lectures delivered at Harvard University, reveals his thirty five years long professional secrets of writing and being a novelist. Previously given by authors like T.S. Eliot, Borges, Calvino and Umberto Eco, these lectures present Pamuk’s literary and artistic insights. What kinds of processes happen in our minds as we read a novel? What is the relationship between the characters of a novel and real people? How is the art of the novel connected to poetry, painting and politics? How is the author’s original voice, signature and private sphere formed? Where does a novelist tell about him/her and where does he/she tell about others? What is the “hidden focus” that makes the novel real and how is it founded? Pamuk answers all these questions he has been dealing with for his whole life, with examples from world literature. Taking strength from his personal experiences and memoirs, Pamuk depicts all the wonders he has met when reading and writing novels in a simple and casual manner.